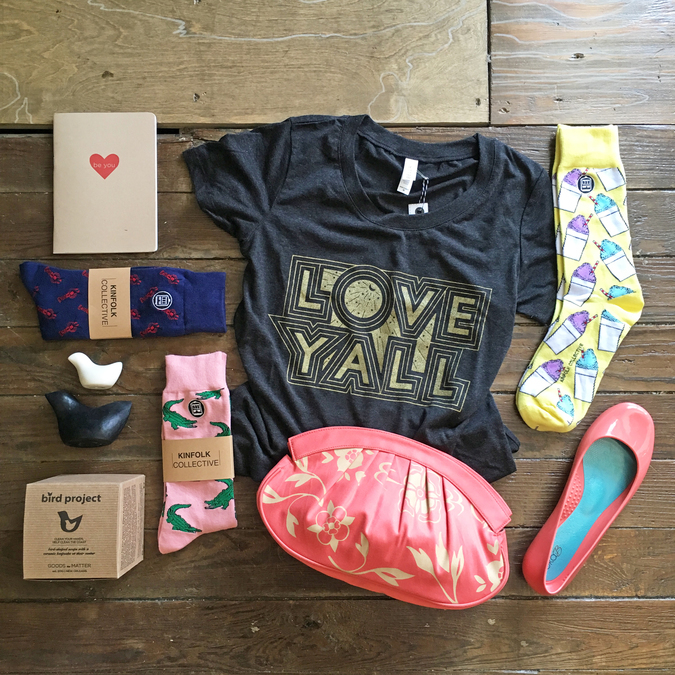 The Good Shop is a collaborative shop in New Orleans featuring four social good businesses: Good Cloth, Goods That Matter, Heartsleeve, and Kinfolk Collective. The Good Shop is a unique space that offers clothing, accessories, and gifts that are ethically sourced and that give back to the community. They are located in Central City, sharing a building with Church Alley Coffee and Zeitgeist movie theater.